Classic is undertaking a new project which marries two stories we love to tell. One of a client who was so thrilled with the job we did for her that she has now hired us for another job – repeat business means the world to us. The other about Classic’s commitment to our community and our profession. It’s not often that these two come together in one project. The Levis hired Classic to do a kitchen remodel a few years ago. We’re proud to say that they were so pleased with the results that they contacted us about building on their family property on Wadmalaw Island. It’s a beautiful site that will eventually accommodate a cottage, main house and garage. 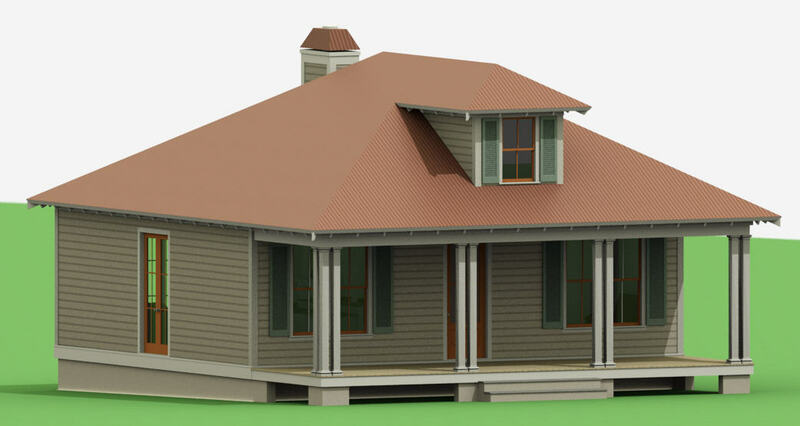 We are starting with the cottage house – a quaint 900-square-foot 1 bedroom 1 bath with a nice front porch that is begging for some rocking chairs. The perfect spot to relax in the peace and quiet of this picturesque property. Helping us with the Levi cottage will be students from St. Johns High School, not far down the road from Classic. The students will work directly with Classic employees, learning construction techniques and the ins and outs of the construction process. We are thrilled to have the opportunity to mentor local kids, and when the work is done they will have some hands-on experience for future endeavors. We will be posting progress updates on Classic’s facebook page, so be sure to check in, become a fan of Classic and watch the cottage come to life.